These are our casino games. All are just for fun, real money is not used, nothing is charged and there are no in-app purchases. Video Poker – Unlike slots machines, video poker allows the player to use skill to beat the house. Play this popular game just like in Vegas. 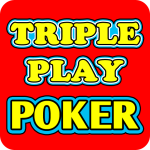 Triple Play Poker – Three hand Video Poker. Three hands at once for three times the action! Just like Vegas! Video Black Jack – A deluxe version of the video Blackjack game found in casinos. Just like Vegas! 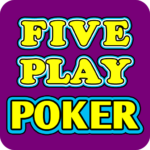 Five Play Poker – Five hand Video Poker. Five hands at once for five times the action! Just like Vegas! 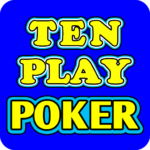 Ten Play Poker – Ten hand Video Poker. Ten hands at once for ten times the action! Just like Vegas!